2019 Spring Lancome Gift With Purchase is available now at Macy’s — 7Pc Free Samples Worth $131 and three more step-up gifts + bonus buy! Sephora Canada Coupon for Lunar New Year Free Gifts – very rare and sold out in less than 24 hours last year. Plus, Clinique bonuses at Bloomingdale’s and Belk are now better! Happy Lunar New Year! Wish you good luck and happiness… Katie @ IcanGWP beauty blog!! Macy’s (NEW) Customize Your FREE 7-Piece Gift with any $37.50 Lancome Purchase, worth up to $131. Crème Radiance Cleanser (1.7 oz). Mr Big Brow in Black (0.33 oz). Mr Big Brow in Black (0.33 oz)..
(NEW) GIFT 4: Receive a Complimentary new Absolue Soft Crème packette with any Lancome purchase. (NEW) Bonus Buy worth $200~ Diamond Accent Heart Lock & Key 18″ Pendant Necklace in Sterling Silver & 14k Rose Gold-Plate Price : $29.99 Color : Rose Gold/Sterling Silver. Sephora.ca (NEW)(VERY HOT)(VERY RARE) Enter promotion code LUCKY8 in the promotion-code box at checkout to receive 8 free trial sizes and pouch, while supplies last, with any merchandise purchase of $88 or more on sephora.ca. Not valid in the US. Sephora and Sephora.ca (NEW) See Sephora coupon code page here. (NEW) There are new items in the SEPHORA Rewards Bazaar, you can use Sephora points to redeem for free. Free full size Charlotte Tilbury lipstick for VIB and Rouge! 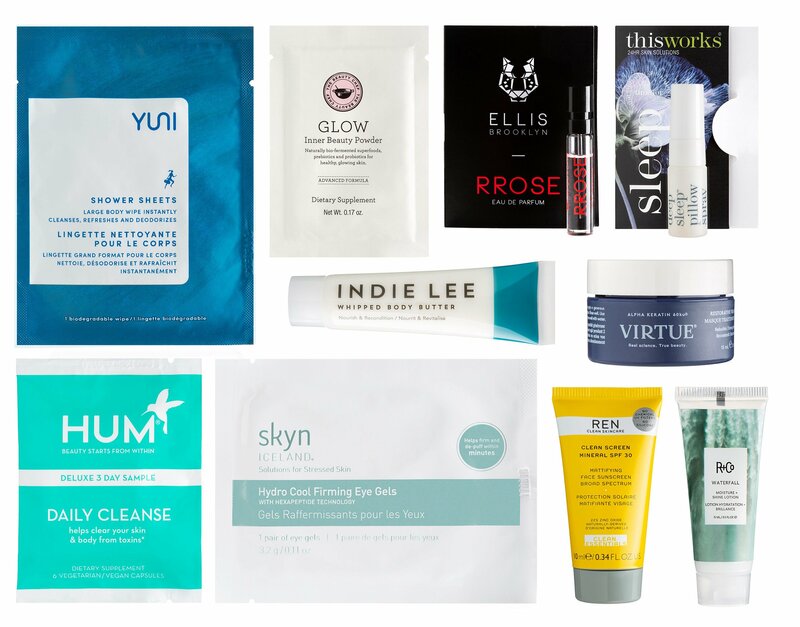 Pick two free samples with any purchase (no minimum) here. See Sale page here. See Sephora Weekly Wow Deals. See Sephora holiday value sets. See all available kits at Sephora Favorites. See Sephora near me. Shop Sephora Play (no subscription) $15 + free shipping. Sephora at JCP. Sephora Play beauty box sub. Bloomingdales (NEW) Take $15 off Every $75 Purchase in Clinique. Belk(NEW) Choose Your FREE* 2-Piece Gift with any $75 Beauty or Fragrance purchase. (NEW) FREE 7-PIECE GIFT* with any $29 Clinique purchase. Choose your fan favorite deluxe cleanser! A $90 value. Hi! Regarding the 2019 Spring Lancome Gift With Purchase at Macy’s — 7Pc Free Samples Worth $131, can you tell me if it is just for online purchase or also available for items purchased in the store as well? Thanks! Hi Hui Meng Kow! They normally have it in store as well. Please call ahead if your local store offer it and also what’s in the in-store version gift!